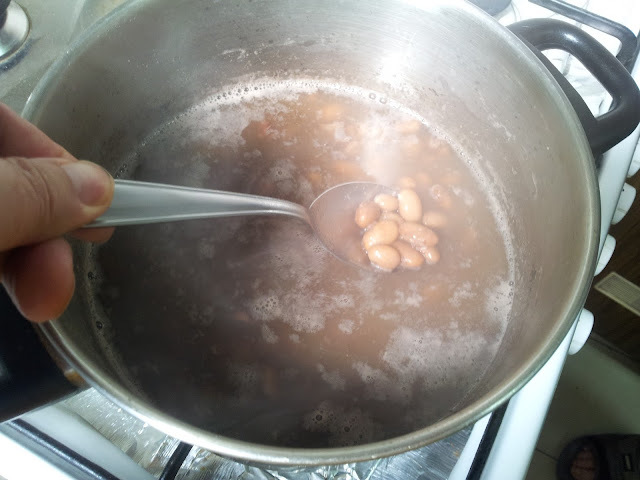 Beans are a very good deal for whoever wants to pursue a healthy life style. One cup of cooked beans provides 12 grams of fiber - which is half of your daily intake. Beans are low in sugar, their glycemic value is low so you don't get insolin spikes that make you hungry. You eat it and the fibers make sure you won't digest it so fast - it shall feed your blood for hours and you won't feel hungry. 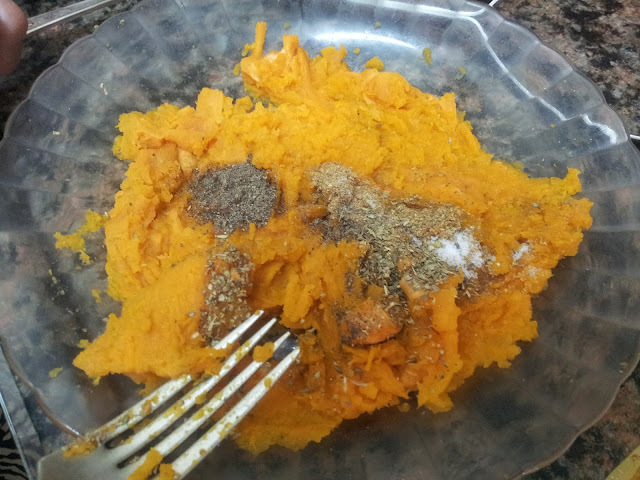 Now regarding the sweet potatoes. Do you know that they are a better food source than the 'normal' potatoes? Their glycemic value is lower and they are paradise food for those that suffer from diabetes. They are a good source for potassium and potassium deficiency leads to muscles cramp, weakenss and fatique. 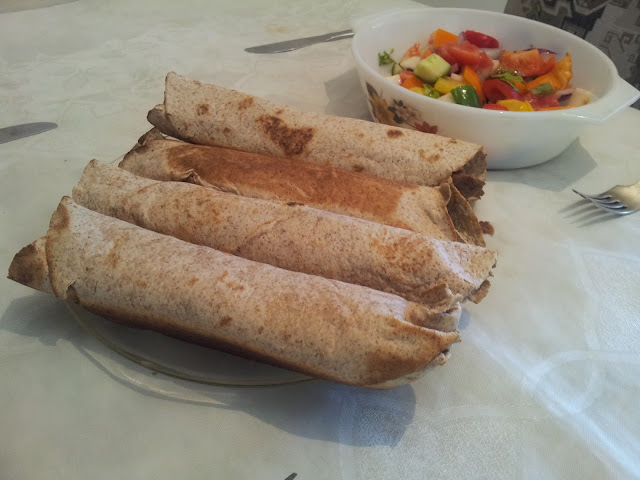 I prepared this sathurday a delicious and and a healthy dish containing both beans and sweet potatoes wrapped in a whole wheat tortilla - what can I say? yum, yum, delllicious. 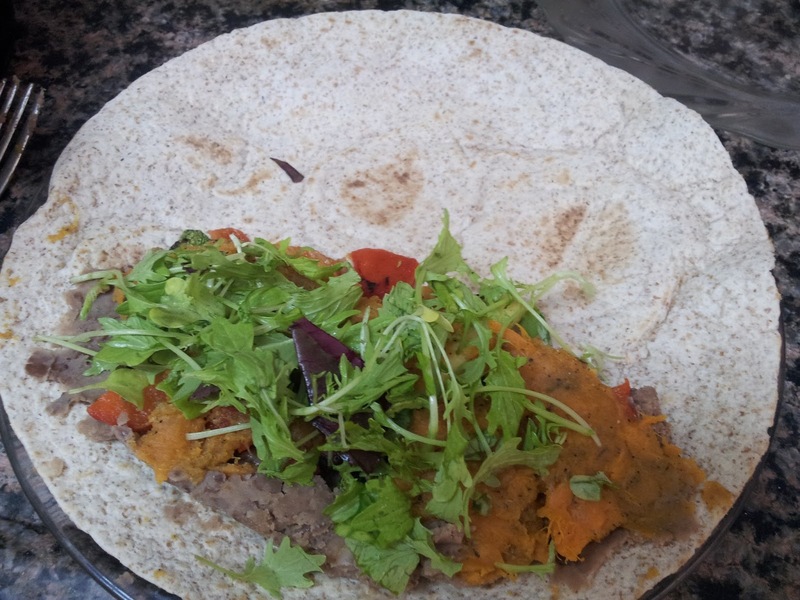 Adding the sweet potatoe and other goodies into a tortilla. 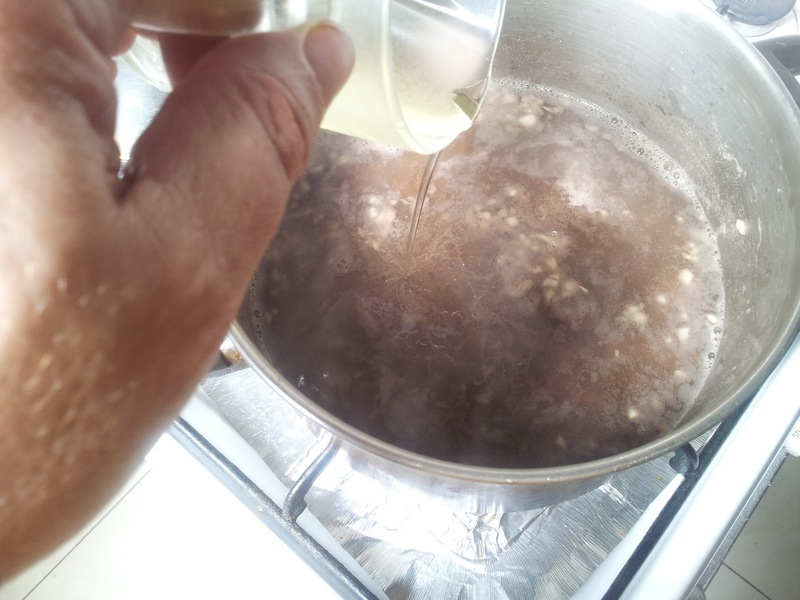 We take 3 cups of beans and rinse, fill with water, bring to a boil and the simmer for 2 hours. We then add 3 tsp salt + 2 tsp chopped garlic. We then consider whether to add a 4'th tsp of salt based on the taste. 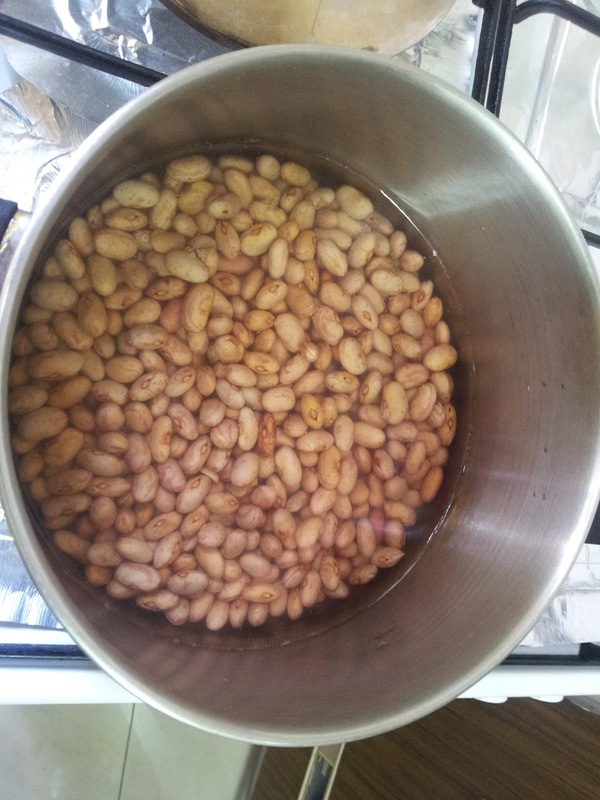 After 1-1.5 hours we stop when the beans start to stick together, and we make a mesh by pressing them down. This stage is a twisted version of a recipe of Chef Nelly (the Cheff of GuteFood restaurant that I described here). We warm each tortilla on a pan for 2 minutes and then we pour the ingredients inside. Don't forget to add some leaves. We call it here "baby leaves". 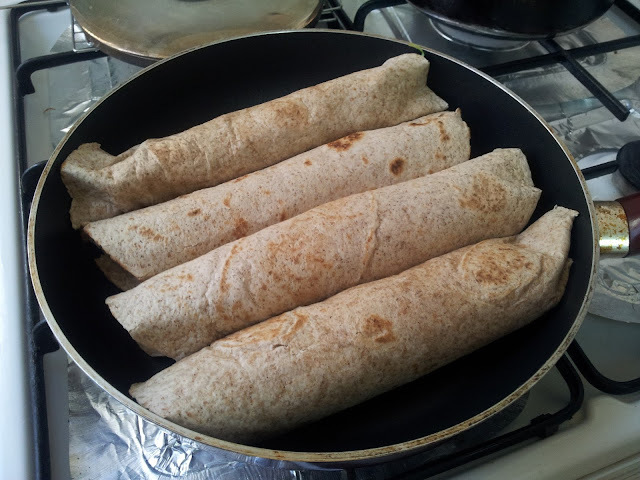 And then roast the tortillas for 2-3 minutes - careful it could burn. And there you go - the tortillas are ready - Bon Appetit. 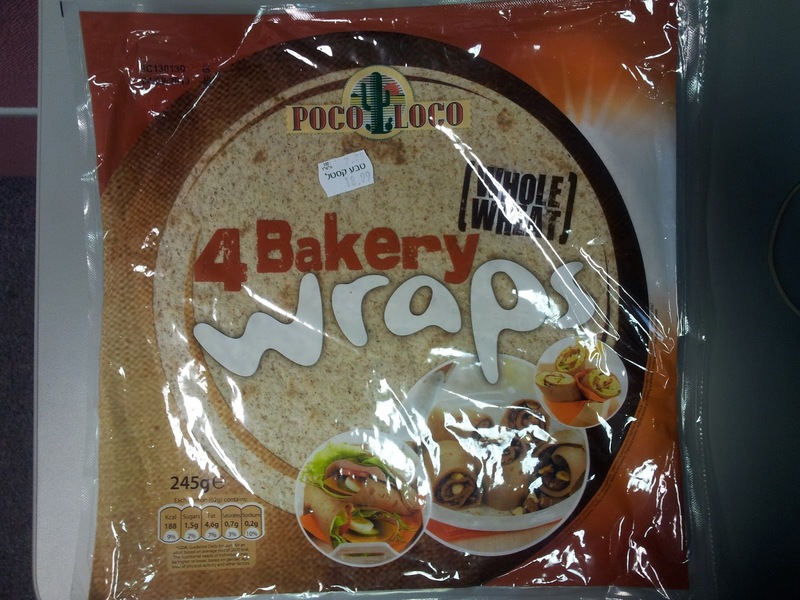 Now 13 Points Plus is more or less what I eat for lunch so eating one such tortilla is instead of lunch. Half of that I eat for dinner. Beans are wonderful but when you cook anything for so long it produces something called AGE (Advanced Glycation Endproducts) and this stuff accumulates in your body and disturbs its functioning. I shall write about it in detail in future blogs. 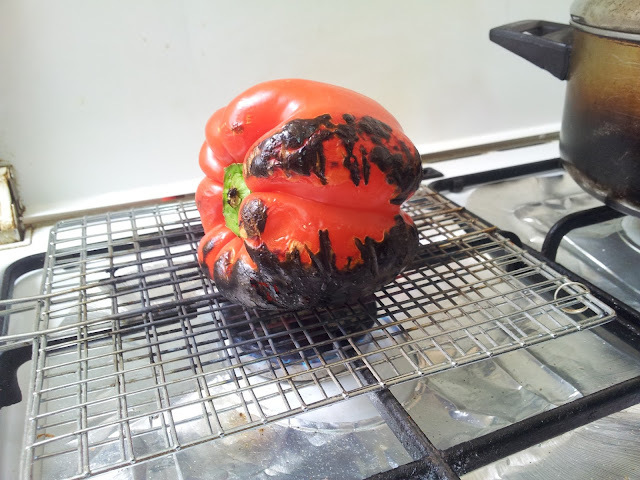 Adding the oil in the middle and then continuing cooking - is a wrong thing to do. 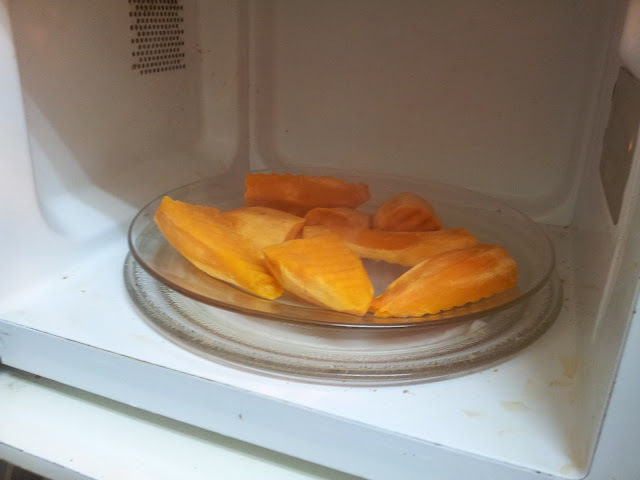 Using a microwave to expedite (like in the case of the sweet potatoe) is a wrong thing to do from the same reason above. I don't like the fact that I had to use so much oil. It costs me 7 Points Plus per tortilla and it doesn't give me anything in return. I do need fats but I want great fats and not canola or corn oil. 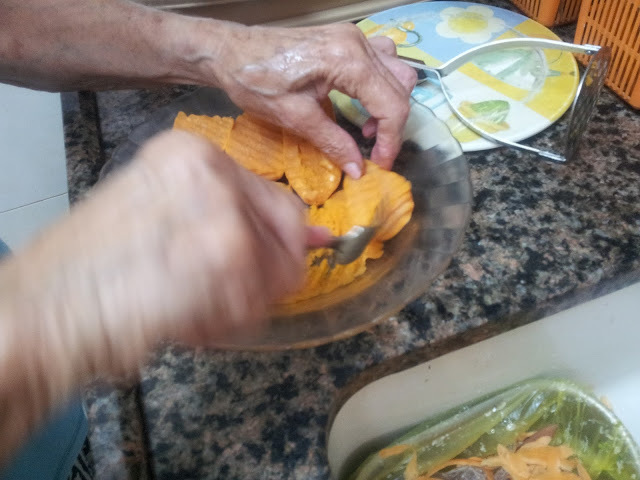 I prefer to get my fats from nuts, tachini, olive oil, etc. So next time I am going to halve the amount of oil. I am not going to cook the stuff for so long - instead I am going to put in water for 24-48 hours before such that I won't need that much cooking. And I shall use less salt.